Meet the Honda Civic of cartridges. There are better ones, there are worse ones, but you always know what you’re getting – a quality product that does the job you bought it for. It’s not flashy, nor is it particularly fun, but it is capable, surprisingly refined and fine value for money. For this reason, it has been in production for decades, its maker never feeling the need to delete it. Indeed, all it has done is get fractionally more expensive every year, and now sells in the United Kingdom for the princely sum of £35. Its now discontinued AT-110E bigger brother was always the better buy, offering appreciably better refinement for just a few dollars more. Its smaller brother – the spherical stylus-equipped AT-93 – became something of a cult. It formed the basis of the Linn Basik cartridge, the main modification being that Linn glued the stylus in place for extra rigidity. It sounded like a crude mod, but actually improved things noticeably. Indeed, the whole generation of nineteen eighties and nineties Linn moving magnet cartridges have the AT-93 (and 95) heavily present in their DNA; if you’re a Linn MM user, you’ll recognise it immediately. The standard AT-95E body is made from fairly brittle and flimsy black plastic, so don’t go tightening it up too much in the headshell. Inside, the motor assembly – which sports the same dual magnet design as Audio Technica’s more expensive AT440MLa and AT150MLX cartridges – puts out a quoted 3.5mV (@ 1kHz, 5cm/sec). This was good when launched back in the mists of time, but is now mediocre. It is claimed to have a channel balance within 2dB, separation at 1kHz of better than 20dB, plus a dynamic compliance of 6.5 (x10-6 cm/dyne) and static compliance of 20. This puts the cartridge firmly in the middle; it’s not weird, hard to match or a tricky load (at 47k ohm and 100-200pf). Its decent elliptical stylus won’t wear records appreciably and most tonearms will track it happily between 1.5 and 2.5g. Weighing 6.6g it’s not a difficult fit, either. The joy of the AT-95E is that it is better than it should be at the price. In a good tonearm you get a reasonably detailed, smooth and quite musical sound. It has a decent turn of speed, has pleasingly crisp and extended treble and a reasonably supple bass. Music sounds fun, is bouncy and flows along nicely. This cartridge never gives away its lowly status in life, politely declining to remind you that you’re in the cheap seats. It hides its tracks well then, emphasising its really rather good value for money. The downside is that – despite its apparently quite impressive nature – it is too opaque. Everything is a little out of focus, rather tonally homogenous, too vague to be as enjoyable as significantly more expensive cartridges. It’s not a criticism, because you can do a lot worse at the price; it’s just that it always leaves one yearning for more. When you do upgrade, you may find it quite hard to go back to the AT-95E, finding it lacking in intricacy and subtlety. Such lack of delicacy really is not a major concern with a pickup of this price though, and fortunately there is now an easy way to upgrade it. The simple expedient of fitting an LP Gear AT-N95VL stylus goes a long way to addressing these issues, and turns it into a very good budget tool for around £70. 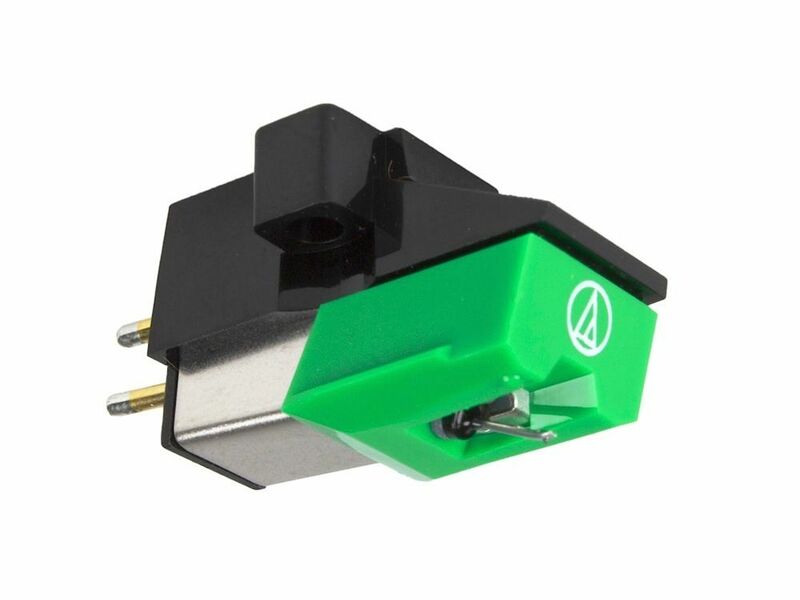 Overall then, the Audio Technica AT-95E is no world beater, but remains a great starter cartridge that’s usefully upgradeable too.